Makin' it in Memphis: I'm in love with a steamer.. 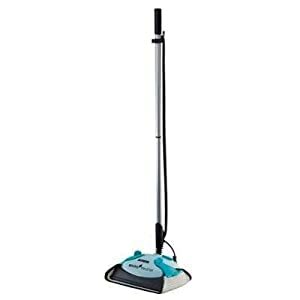 In preparing myself for new kitchen floors, as well as thinking about all the dry wall dust that has accumulated in the house during this renovation process, I found out about something I hadn't heard of before - a hard surface floor steamer. I think my parents have something sort of similar but this is sleek, light, and apparently works wonders on wood and tile floor.